I am calling Shenanigans against CONCACAF on behalf of the Columbus Crew, who won their game against Santos Laguna 1-0 but had the goal disallowed after the fact because Emilio Renteria was wearing an illegal jersey without a number, although that jersey had been approved by the 4th official (who is in charge of checking equipment of players entering the field) and by the center referee, Luis Rodriguez of Panama, prior to Renteria re-entering the game. Thanks to Bill Archer at BigSoccer.com for reporting the news and providing video highlights so you can judge for yourself. His article is both factually accurate and also quite funny, and I suggest you read it. I also must agree with one commenter who observes that he wants to follow the CONCACAF Champions League, but it is hard to do so when it is such a joke. No wonder the MLS teams only send their B-Teams to the CL games. You can't expect the coaches to take the games seriously if the referees don't. One of my favorite moments as a USA soccer fan was in 1998 when I was in Costa Rica, and we watched DC United win the USA's first ever CONCACAF Champions Cup with a 1-0 win over Toluca of Mexico, on an Eddie Pope goal. The Costa Ricans enjoying the game in the small-town bar (I remember it was called Bar Amigos) were all supporting DC United, because they were tired of Mexico winning everything all the time. From that moment on, I try to support the MLS teams in the CONCACAF Champions League but this hosing at the hands of the Panamanian official is so egregious it taints the rest of the competition. In the 22nd minute, Crew forward Emilio Renteria of Venezuela received a blow to the head that resulted in quite a bit of blood (naturally, there was no foul called). Renteria was ordered by the referee to leave the field and get the blood cleaned off, and also to change his blood-soaked jersey for a clean one. He changed into a generic yellow Columbus Crew jersey without a name or number, got the go ahead from the fourth official to enter the game, was waved on by referee Luis Rodriguez, and entered the game. Note that Rodriguez did NOT stop the action at this point. Renteria then crossed the ball for defender Andy Iro, who scored the game's first goal. AFTER (may I emphasize that) the goal was scored, the referee determined that Renteria's jersey was illegal. Now, it has been over 10 years since I last took the referee's license exam, but I vaguely recall a question about illegal equipment. I think the question concerned if you, as a referee, accidentally forgot to check equipment at the start of the game and unwittingly permitted a player to play with, say, a wristwatch, which is against California Interscholastic Federation rules. Your options are to A) order the player off the field until he removes the illegal equipment, then allow him to re-enter the game with permission once the problem has been corrected, or B) travel back in time and disallow all game action that took place while the illegal equipment was in use. I'm pretty sure that option A is correct. Luis Rodriguez chose option B. Sadly, MLSsoccer.com, the OFFICIAL website of MLS, did not defend the Crew, and states that the referee was correct to disallow the goal because he claims in his official report that Renteria entered the game without permission. Everyone who saw the game disagrees with this official word, saying that Rodriguez waved Renteria on, and did NOT stop the action until AFTER the goal was scored. All of us are also disappointed that MLS is not officially supporting the Crew's decision to formally protest the result (not that it will do any good but at least it is official). Crew coach Robert Warzycha could not have stated the controversy any better: “It is clear that the official waived twice at Rentería to enter the field and then the fourth official let him go,” Warzycha said. “If [Rentería] wasn’t ready to play, why does [the referee] let him on the field? Why doesn’t the referee blow the whistle when Rentería touches the ball? Very diplomatic, coach. 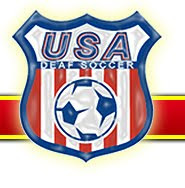 The question is whether, as USA soccer fans, we should make our outrage known, in a show of support for MLS and our country, or should we acquiesce to CONCACAF like the USSF did, and maintain the official position that the Referee Is Always Right. This question was debated last night by Jason Davis with MatchFitUSA.com, and does not have a clear answer, but I would like to invite Jason Davis, Bill Archer, and any other USA soccer bloggers to come to an agreement about what course of action we should take as a nation. Anyway, to make a long story short, Santos Laguna scored the game's second goal in extra time and Luis Rodriguez immediately blew the whistle to end the atrocity 1-0 in favor of Santos Laguna, denying the Crew the first ever win for an MLS club on Mexican soil. Lest anyone think there is an Anti-USA bias in CONCACAF, don't worry, it is an Anti-MLS bias but not an Anti-USA bias because it also applies to Toronto FC. As Bill Archer described at BigSoccer.com, Toronto FC were also completely screwed by the referees in a 1-0 loss to Arabe Unido of Panama. Referee Marlon Mejia of El Salvador inexplicably called EVERY foul against Toronto, although it was in fact Arabe Unido who committed the majority of the fouls, literally all the calls except one went against Toronto in the first half. Fidel Caesar, the goat of Arabe Unido's 2-1 loss to Real Salt Lake last week for committing a penalty that led to the winning PK goal, was the hero this time, scoring a goal late in the first half to put Arabe Unido up 1-0. In the second half, Toronto's Nick LaBrocca was given a straight red card for pulling his legs back and NOT kicking the Arabe Unido goalkeeper, who then grabbed his face after LaBrocca's shinpad touched his arm. Bill Archer quotes GOAL.com's hilarious description of the action: "Referee Mejia’s red card seemed to have mystical curative properties, though, as its appearance ostensibly healed Calderon, who was quickly back to his feet." Meanwhile, there was a crazy game in Mexico City to determine the leaders in Group A. Keep in mind, after the Arabe Unido/Toronto result, those two teams were both tied with 3 points for a win and a loss, with +/- 0 goal differential with a one goal win and loss. RSL held a +1 goal difference for their 2-1 win over Arabe Unido, while Cruz Azul held a -1 goal difference for their 2-1 loss at Toronto. If Cruz Azul was to win by one goal over RSL, all four teams would be tied with 3 points and a +/- 0 goal differential. In the pouring rain, this was a wild one. Cruz Azul's Javier Orozco scored immediately in the 4th minute, and it looked like MLS would never win on Mexican soil, but then RSL's Fabian Espindola of Argentina was fouled in the box by Cruz Azul's Horacio Cervantes. Alvaro Saborio of Costa Rica scored his second penalty kick in the last 2 games for RSL in the competition and tied the score 1-1. Near the end of the first half, a Cervantes pass came to a stop in a pool of water and Saborio stole it and scored again to give RSL the lead. In the second half, Saborio stole the ball again and set up Espindola for a goal to give RSL an improbable 3-1 advantage and it seemed like an MLS club would win in Mexico. But it was not to be. Javier Orozco scored his second goal of the match in the 75th minute and his third in the 87th minute, and then a fourth in the 89th minute to seemingly win the game for Cruz Azul 4-3. But the scoring wasn't over. Will Johnson of Canada scored for RSL in the 92nd minute, to earn an away point for RSL with a draw. But, Cruz Azul took the ensuing kickoff straight at RSL and scored the game winner in the 93rd minute on a long shot by Christian Gimenez of Argentina. 5-4 was the final. Cruz Azul and Real Salt Lake take control of the group with 6 goals scored each, but all four teams are even with 3 points and a +/- 0 goal difference. Group B featured the aforementioned Columbus Crew/Santos Laguna fiasco, which places Santos Laguna on top of the group with 6 points, and Columbus second with 3 points, although those places should rightfully be reversed. Additionally, there was an interesting match in Guatemala City. Municipal hosted Joe Public of Trinidad and Tobago, and the winner would move in a tie with Columbus for second place. In the pouring rain, Mario Rodriguez gave the home team a 1-0 lead in the 77th minute, which would have put them in a tie with Columbus Crew for second in the group. But, Joe Public struck back literally with a red card to Javon Morris for an elbow to the face of Municipal's forward Juan Castillo. Then, Joe Public struck in a surprising way, when defender Trent Noel sent a cross that found unmarked Micah Lewis, who scored the shorthanded equalizer for 10 man Joe Public in the 93rd minute. So, both teams earn a point, placing them both at the bottom of Group B with one point apiece. In Group C, Seattle Sounders continued their uninspired play in the CONCACAF Champions League, this time losing to Monterrey of Mexico 2-0. Argentina's Neri Cardozo scored for Los Rayados just before halftime, and then Aldo DeNegris scored after halftime on atrocious defending by Seattle. Monterrey leads the group with 6 points, Seattle Sounders are in the cellar with zero points. In the other Group C match, Marathon of Honduras (who defeated Seattle 2-1 last week) took on Saprissa of Costa Rica (who lost 1-0 to Monterrey). Marathon looked to remain in a tie for first and keep Saprissa in a tie for last by taking a 1-0 lead in the 32nd minute on a goal by Mario Berrios. But, Saprissa equalized almost immediately with a goal by Alejandro Sequeira to tie the game. Randy Diamond of Marathon collided violently with Saprissa's goalkeeper and was shown a red card in first half stoppage time. With the man advantage, Saprissa scored three second half goals, by Jairo Arrieta, Josue Martinez, and Armando Alonso. Saprissa moves into second place in the group with 3 points and a +2 goal difference, while Marathon drop to third place with 3 points and a -2 goal difference. Finally, in Group D, the Puerto Rico Islanders enjoyed a spectacular 4-1 win over FAS of El Salvador. David Foley of England and Jonathan Fana Frias of the Dominican Republic scored for Puerto Rico, but then FAS got a goal back by Williams Reyes due to poor marking on the Islanders part. Jonathan Fana Frias earned the goal back in first half stoppage time with his second of the game, off a punt by goalkeeper Brian Gaudette, and then in the 83rd minute Gaudette added his second assist with a long throw to Jamaican Nicholas Addlery that resulted in Puerto Rico's fourth goal. After a draw with Olimpia of Honduras in the first match, Puerto Rico now has 4 points and a +3 goal difference, but it is not enough to take first place in the group, because Toluca of Mexico defeated Olimpia 4-0 to get 4 points and a +4 goal difference. Midfielder Juan Cuevas of Argentina scored two quick goals for Los Diablos Rojos, in the 4th and 10th minutes. Chilean Hector Mancilla scored a second half goal for Toluca, but the goal that gave Toluca the group lead (without it, Puerto Rico would lead the group on goals scored) was an own goal in the 86th minute when Francisco Arevalo of Olimpia deflected a cross past his own goalkeeper. Cruz Azul is on TV here right now, hosting UNL Tigres on Azteca America. Cruz Azul leads 2-1 and this Javier Orozco fellow scored again today. He is on fire! Five goals in his last 1.5 games. They call him "La Chuletita." He is 22 and has been with Cruz Azul since he was 17. Randy I remember that bar! Tiny and very local, like 8 local dudes. What happened was that Toluca beat their team, Saprissa, and had eliminated another Costa Rican team, Alajuelense, before that. I remember didn't want to admit we were Americans that's when they said they were pullin for D.C. and were celebrating when the Americans won, cool!